These will be the second paleo brownie recipe that I have tasted. The first ones were made by my son awhile back when we first started eating paleo. These brownies were not bad but could have been a tad better. My husband and I had different opinions of what more was needed though. I thought they were a bit dry but my husband thought they weren’t sweet enough. Interesting how two people eating the same food can critique it differently, no? I had some problems with the original recipe as you’ll soon see. The ingredients were pretty simple though. And once everything is put together, this is what the mixture will look like. 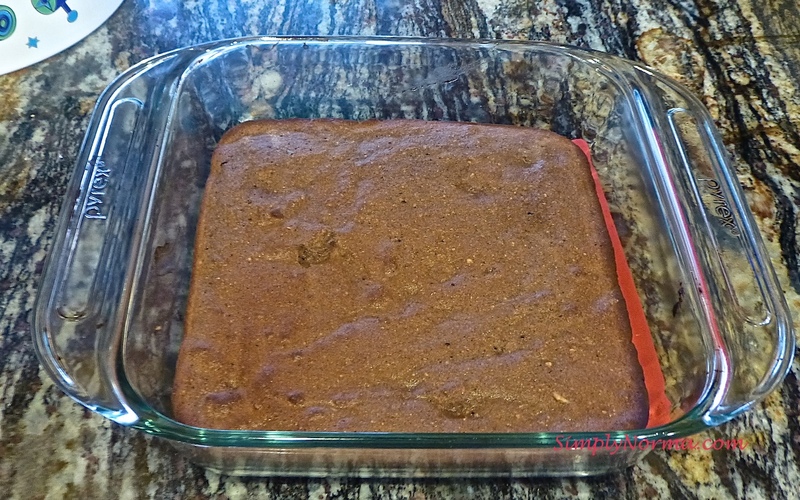 The original recipe calls for a 9×13 baking dish. Uh, no. 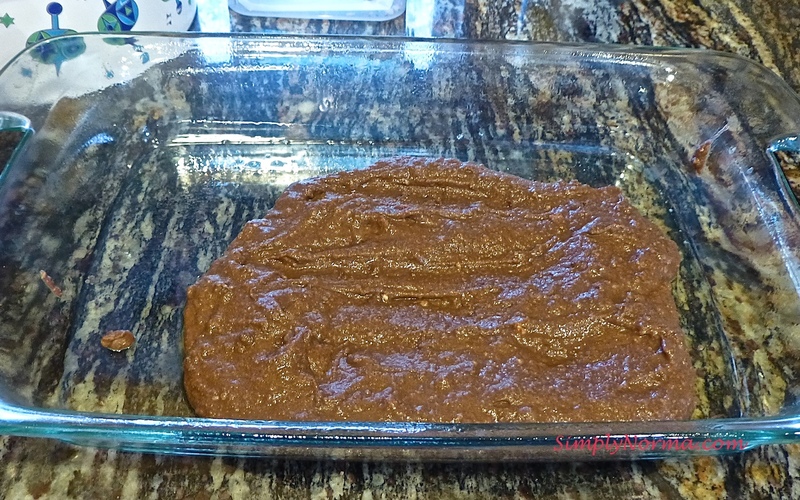 There is no way this batter will spread out into a 9×13 baking dish. See? I used an 8×8 baking dish and it worked quite well. And the final product came out looking pretty good. Preheat the oven to 350° degrees Fahrenheit. 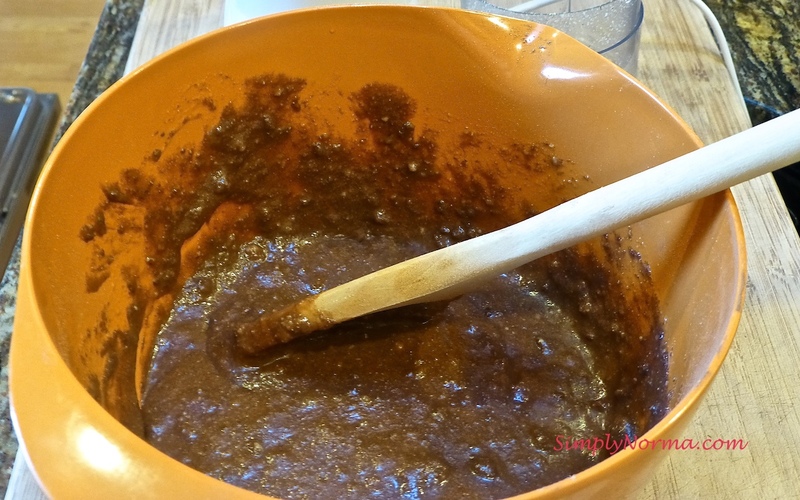 In a medium sized bowl, combine the coconut flour and unsweetened cocoa powder then sift 2 times to lighten the mixture. Add the almonds to the flour/powder mixture. 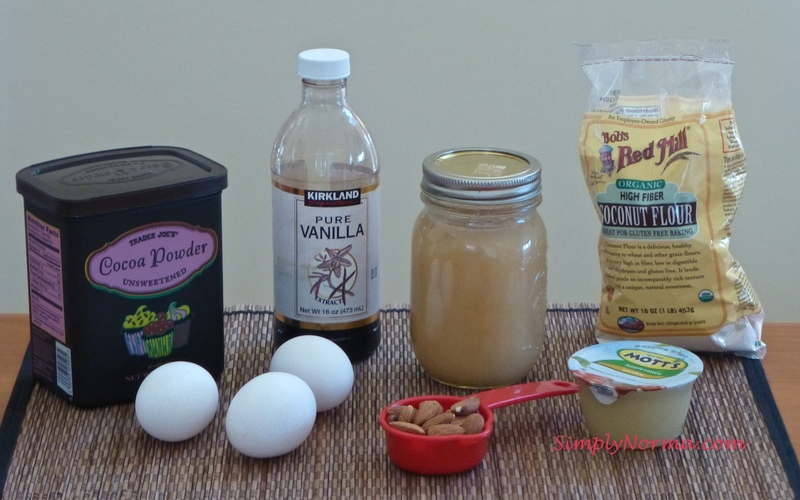 In another medium sized bowl, whisk the eggs then add the raw honey, apple sauce, vanilla extract and coconut oil. Make a hole at the center of the dry ingredients and whisk in the liquid mixture until well blended. Spray a non-stick baking spray in an 8×8 baking dish. 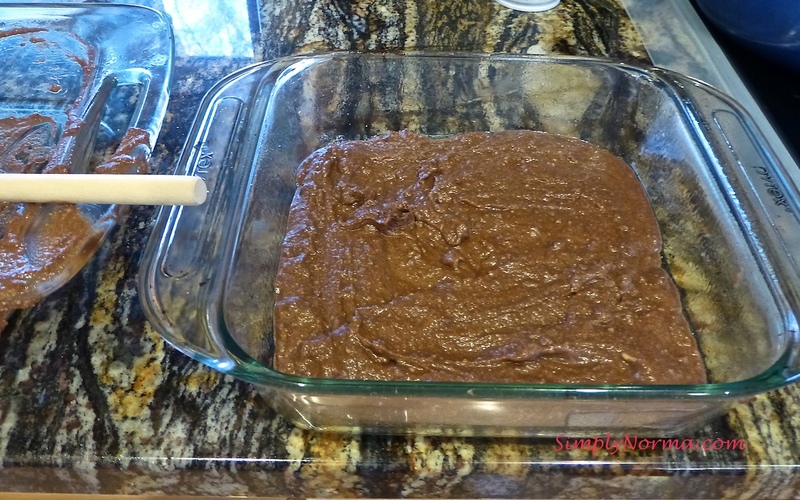 Put the batter into the baking dish and place it in the oven. Bake for 30 minutes or until a toothpick comes out clean. Set aside to cool then enjoy! Note: In my convection oven, it took 25 minutes to bake but I tested it at the 20 minute mark. Convention ovens tend to cook things quicker. 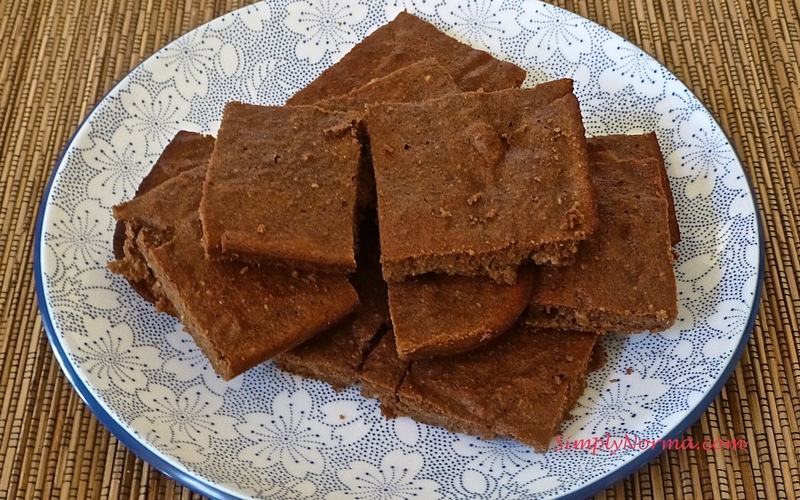 This recipe was taken from Paleo Brownies Coco Nutty Recipes and they have more recipes there for you to try. Check them out!